Hello costumers and soon-to-be cosplayers! My name is Valerie. By day I’m a Digital Media Manager. 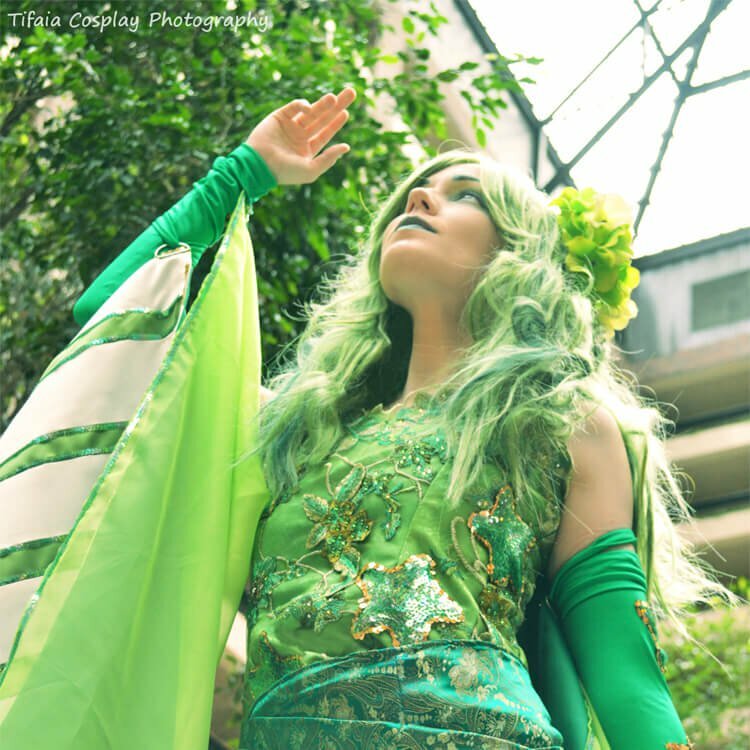 At night and on weekends, I’m a cosplayer under the name TifaIA Cosplay. 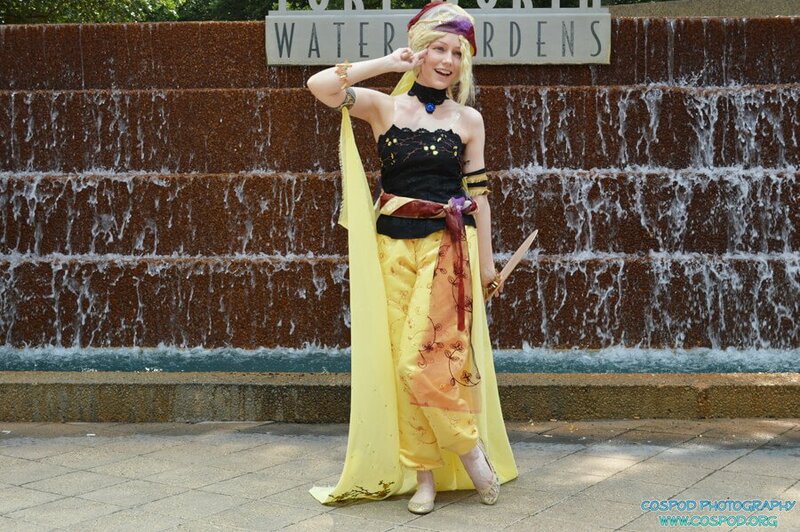 I’ve been cosplaying for 9 years, and it’s a hobby that I stumbled into unexpectedly. I learned how to sew at a young age after attending a summer camp. I’ve always enjoyed crocheting and embroidery. Cosplay became a natural transition for me to showcase my love for a fandom in my own, creative way. Some people like to write. Others like to paint or draw. I cosplay! 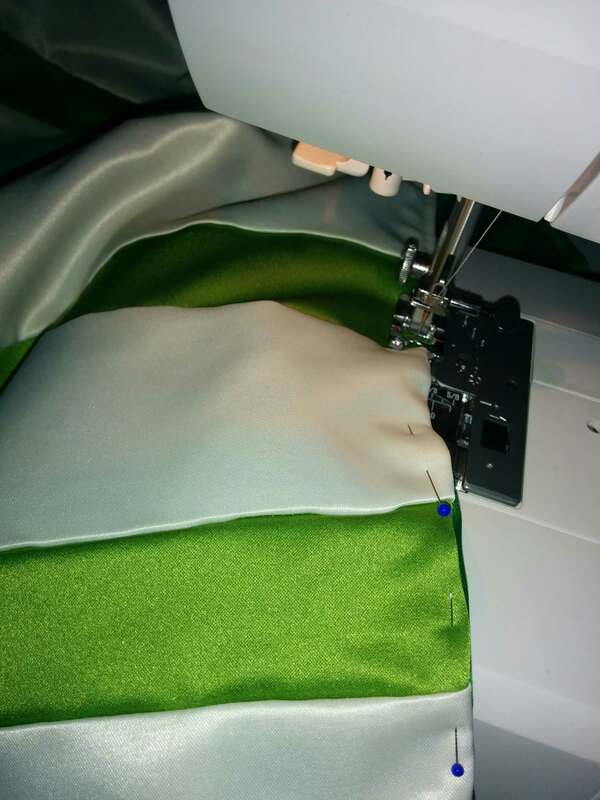 I found out about Online Fabric Store (OFS) over a year ago after a friend recommended the website to me. What stuck out was the amount of fabric available, there is a lot to choose from, but I never feel overwhelmed by the selections. I can quickly find what I need for a project. Since becoming a patron the website is now my go-to resource for my cosplaying needs. I’ve made several costumes and commissions in that time that utilize most, sometimes all, of the fabric portions from OFS. When you’re a cosplayer, having that one source for your fabric and notions is beyond helpful. You feel less stressed in having to hunt down fabrics through multiple retailers. It’s definitely been a benefit for me that I can get my fabric through OFS and not have to worry about shopping around for days/weeks/months. Yes really, months! 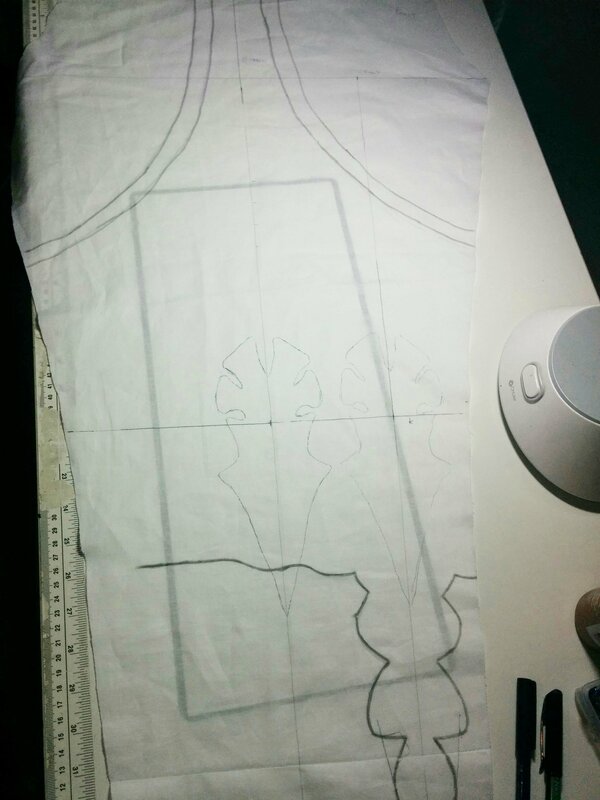 When you want that perfect fabric for a costume, it can take time. 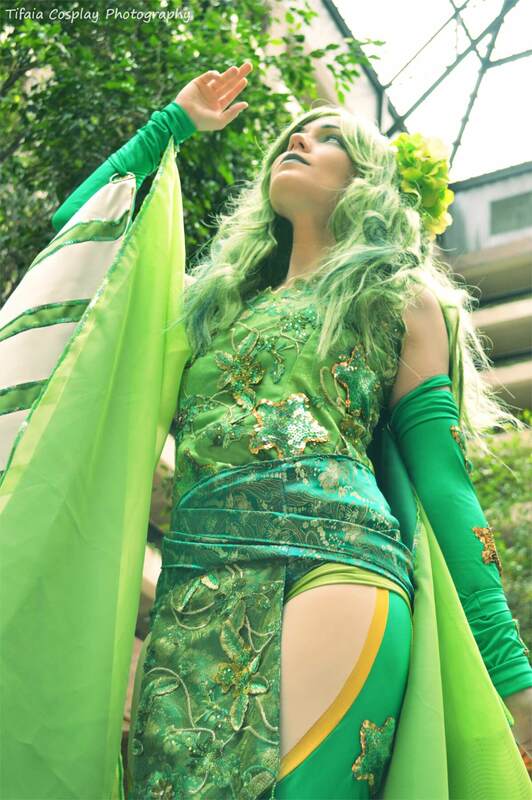 One of my favorite cosplays is Rydia from the video game Final Fantasy IV. 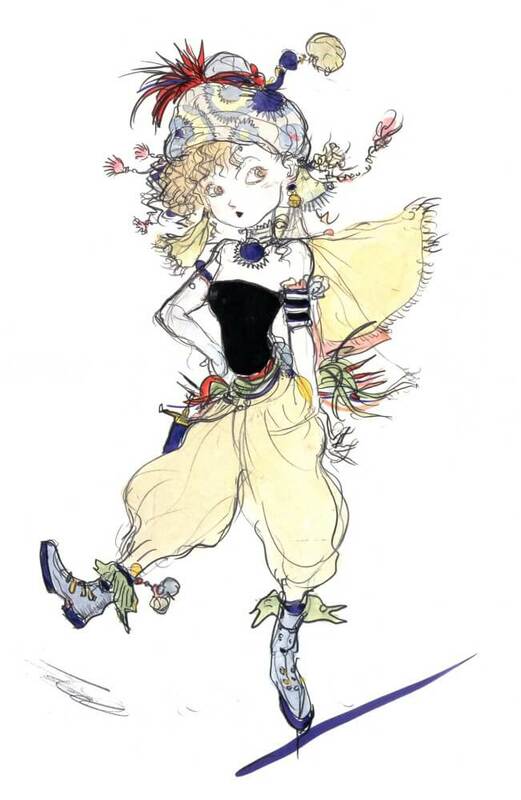 The design of the costume is based on Yoshitaka Amano’s artwork of the character. His use of bold colors, dynamic lines, and composition are striking. I wanted to replicate the look using fabrics that would help accentuate his design while adding my own flair. Much of the base fabric for this costume is from OFS; the matte satins of the capes and the corset, as well as the spandex of the leggings and arm bands, helped create the look I wanted to achieve. 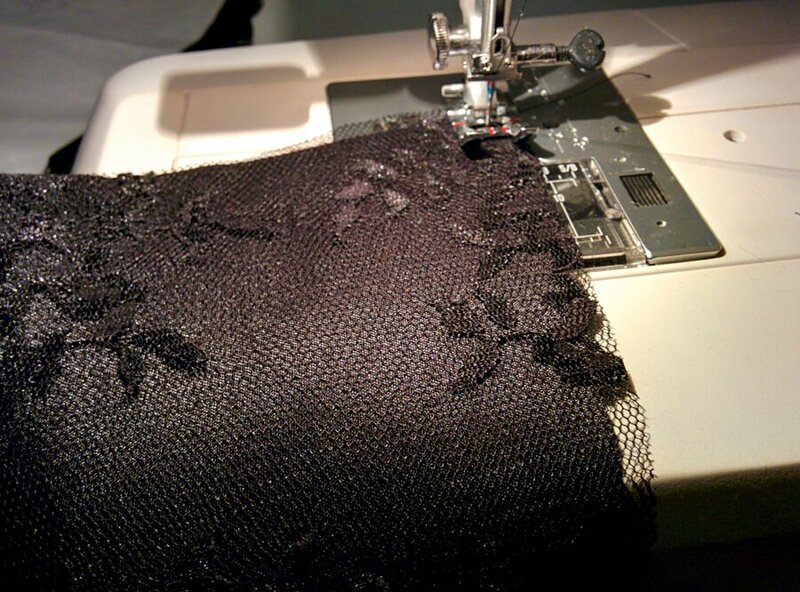 Rydia is a combo of my favorite fabrics to work with: spandex and the matte satin from OFS. I enjoy the matte satin too much for my own good. I use to be very anti-satin, and this matte variation has changed my thinking. I really like that it’s got a nice sheen to it without being overpowering. It photographs well even with a camera flash, which is something we have to think about in cosplay. It also doesn’t fray as badly as other satin fabrics tend to do. And spandex…well I love spandex. Use a little and you get a lot out of it! 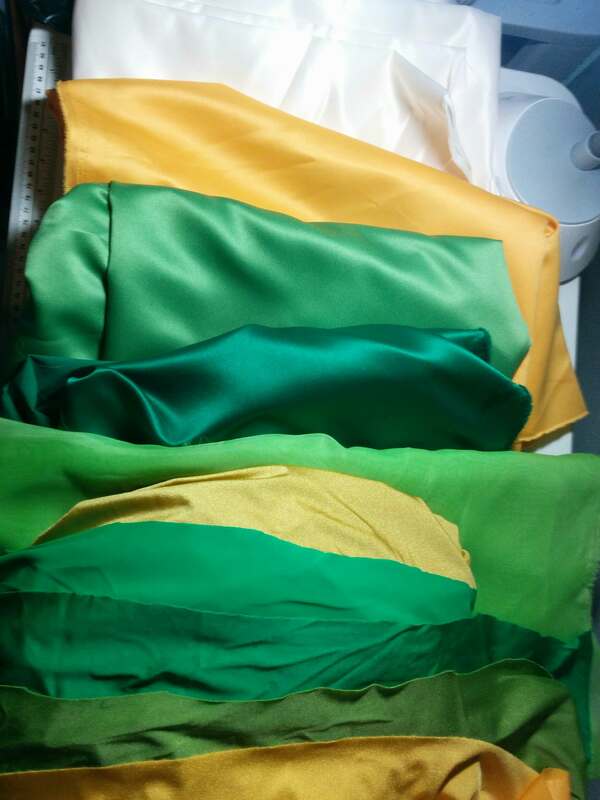 When starting a new costume, my biggest challenge is determining which fabrics will work best. 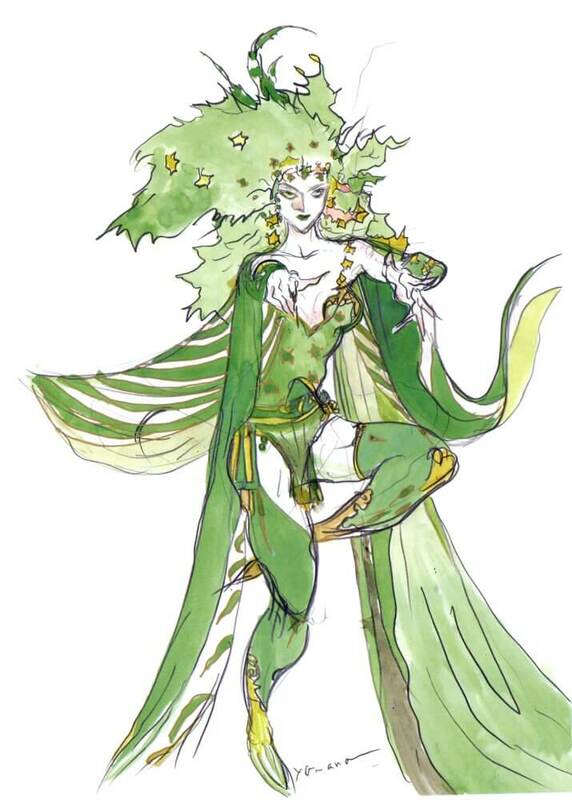 With Rydia, I knew I wanted to mix textures and patterns. Since there was so much green involved, I didn’t want the final design to look flat. 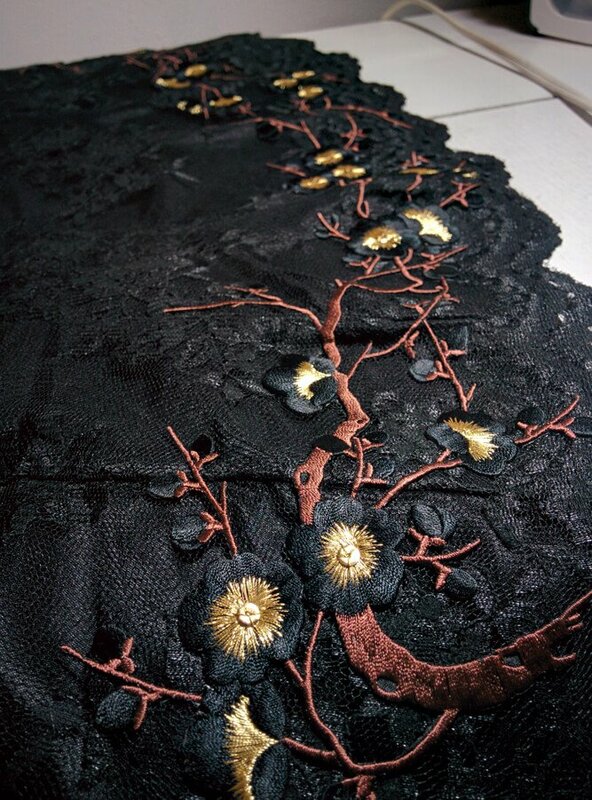 So I brought in the floral pattern of the Jacquard Satin, and various shades of greens of the matte satin. For another character, Relm from the video game Final Fantasy VI, I really wanted to make the design stand out by incorporating overlays. 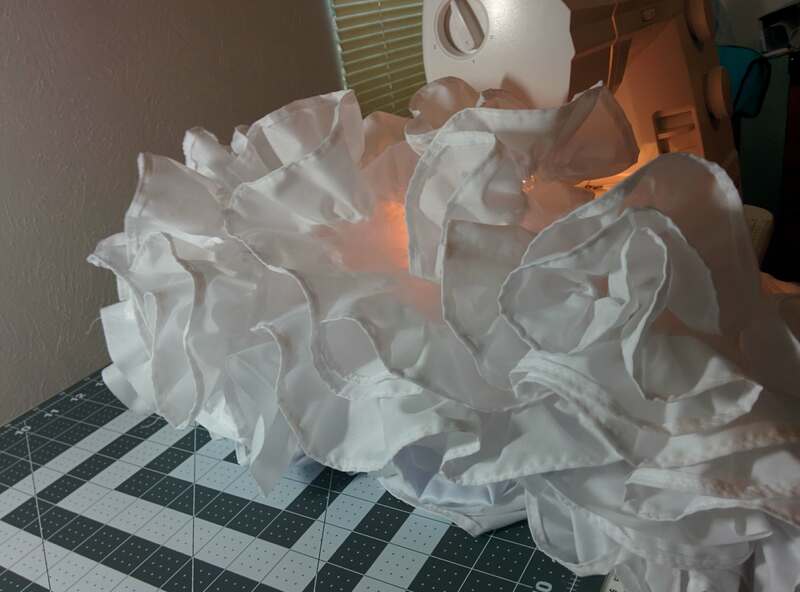 Lace and embroidered organza became a big portion in my costume to make the simple design really pop! 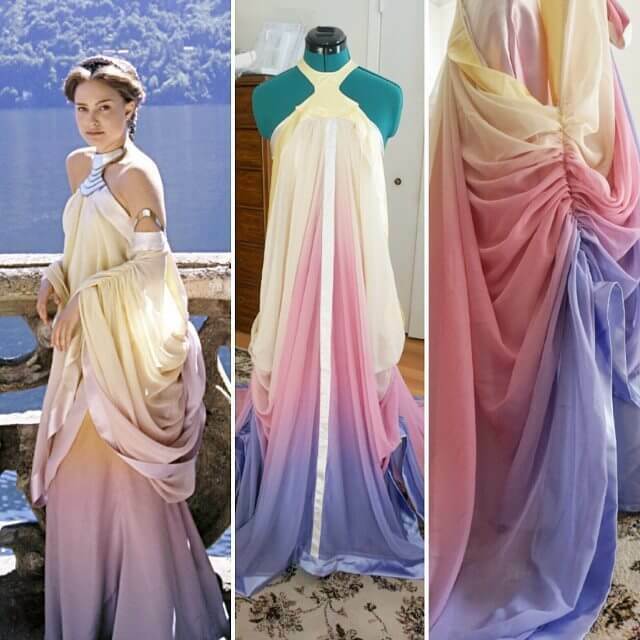 And then you have designs like Padmé from Star Wars Episode II where you need fabric that can hold up after a day of conventioning while still looking regal. I used chiffon and a silk shantung, with appropriate dyes to do the ombré gradient. Factors such as where you’re going to be wearing the outfit, the weather, the time of year: all of these need to be considered when making your costume. It’s important from the start to have a firm idea of what fabrics you want to use. My inspiration for cosplay has always been character driven. This is something that I’ve carried with me since I was a child. I loved to act in school plays, and that passion hasn’t dwindled. I typically gravitate towards the characters that are unlike my real self; usually villains. Why? Because they have the best lines and the most amazing wardrobe. I have a blast creating these characters and portraying them. It brings out that extravagant, over-the-top side of one’s personality when you cosplay as a villain. Starting costumes, I generally plan them out 6-8 months in advance. This varies from crafter to crafter. I know some people who decide on a costume and whip it together in less than a month. For me, because I also take commissions, I tend to over plan so I have enough time to complete my customer’s costumes as well as my own. When you attend 10-12 conventions and events throughout the year, you find that you cosplay a lot! Particularly when you are a guest or a contest judge, cosplaying is part of the job description. But with each costume, I learn new techniques to apply to future projects. Generally those new tools involve some weird supplies. I’ve made props out of cardboard and paper-towel tubes. Need a big gem in a pinch? Use a plastic Christmas ornament! That’s probably my favorite go-to material for gems and orbs. While I enjoy being in character, one thing that keeps me coming back is the community. Most people are friendly in welcoming newcomers to the hobby. Some of my favorite moments in cosplay have been talking to others. Learning from them, sharing construction tips, and supporting one another in the craft – that’s the part of cosplay that turns this into a lifelong hobby. Part of what’s helped cosplay grow into today’s community has been social media. 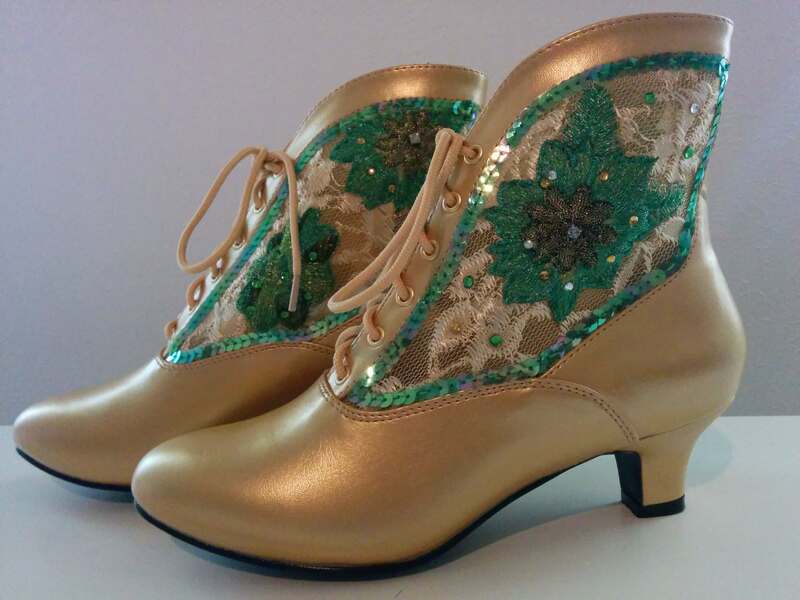 It’s allowed numerous crafters to showcase their work on an open platform that allows others to discover them. 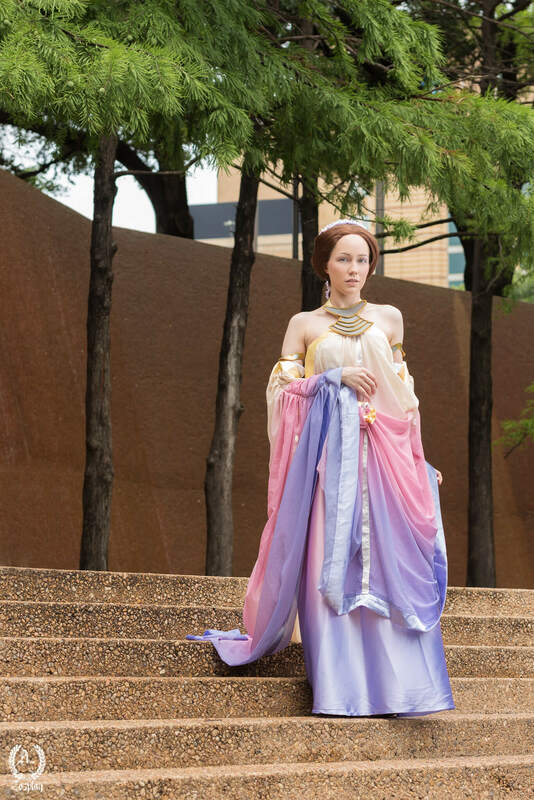 For myself and other cosplayers, social media is how we connect to crafters and fans. It’s also a great platform for showing tutorials and getting people involved in cosplay. Streaming has furthered that connection by having instant communication with viewers to walk them through each step of a tutorial. I started cosplaying before social media took over, and now I can’t imagine cosplaying without it. The biggest change I’ve seen to the community over the years is how easily accessible cosplay is today. The fact that you can shop online or go to a party shop and see costumes from current TV shows, animations, and movies is a big deal. Cosplay is no longer a niché hobby and it’s amazing! When I first started, resources and accessibility to materials was limited. You had local craft stores and sometimes Amazon. YouTube was still young enough that most people didn’t utilize it for tutorials. Now we can go online to places like OFS that have a plethora of fabric and notions at your fingertips. Cosplay patterns from major manufacturers are available. Fabrics developed specifically for costuming are on store shelves. Thermoplastics are on the market en mass. It’s a great time to get into the hobby! 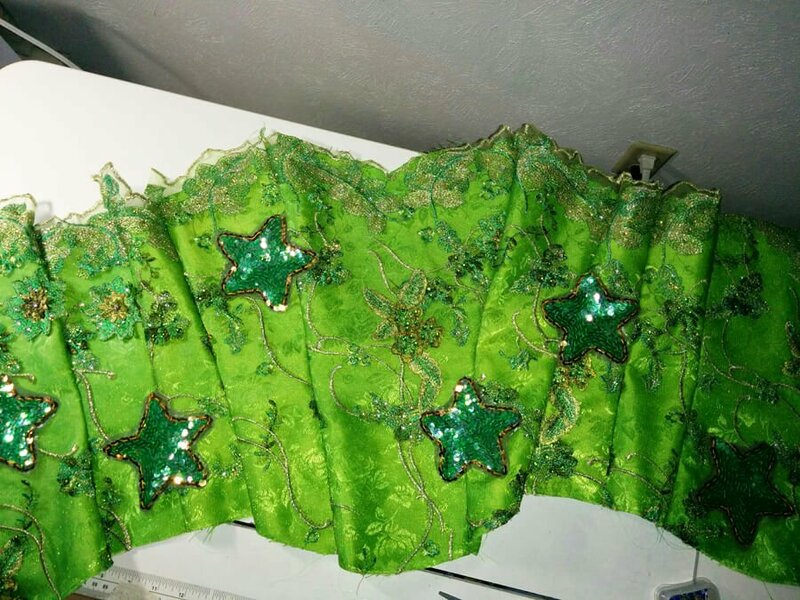 If you’re interested in learning more about some of my projects, I’m currently developing an overview on my Rydia cosplay. Or check out my social profiles to see more!